Cavell Nurses' Trust is inviting School Nurses from across the UK to nominate themselves or a colleague for a School Nurse Award. The awards aim to recognise and celebrate leadership and innovation within School Nursing. The Youth Select Committee have claimed there is "much work required to break down the stigma associated with mental health problems" after launching a new report on ‘Young People’s Mental Health’. The NSPCC’s Underwear Rule and Share Aware teaching resources are to be circulated to over 10,000 teachers after being awarded the Personal Social and Health Education Quality Assurance Mark. 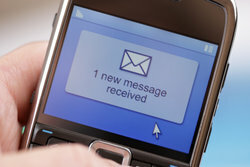 NHS healthcare teams teams in the East Midlands are being offered the opportunity to introduce a messaging service which provides safe and secure texting between clinicians and service users.